Last month I made it along to the annual summer classic car gathering in Stony Stratford, about 30 minutes drive from where I now live. 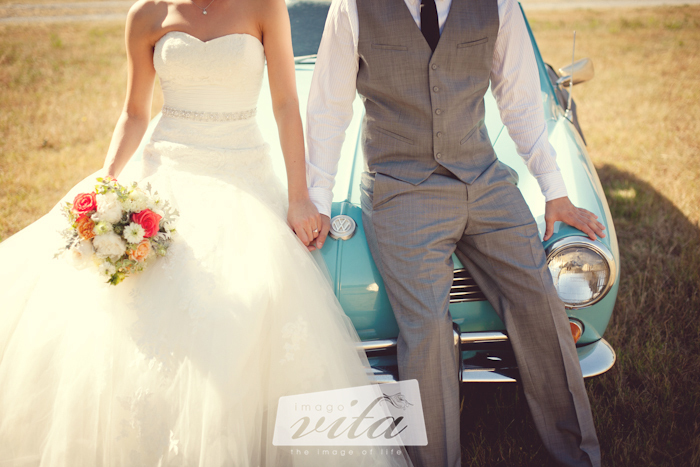 It was a very hot day which was perfect for getting everyone out in their classics for the day. 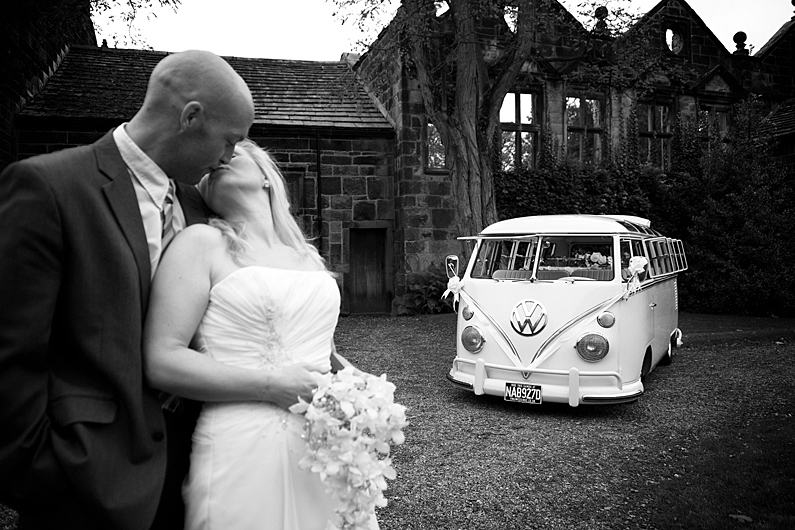 As usual, there were just a hand full of Volkswagens but the quality definitely made up for the quantity! I’ve posted some other pictures from the show on my other blog, MHPIX. Maybe this time i’ve gone too far: 158 photos in 1 post is just too much i think but it was almost impossible to separate them. I’ve tried (like i always do when it’s time to organize all the stuff i collect around) to find topics, stories, styles or whatever could let me divide the folder into different articles. Forse questa volta ho esagerato: 158 foto in un articolo è davvero troppo credo ma è stato impossibile separarle. Ho provato (come faccio sempre quando è il momento di organizzare tutta la roba che raccolgo in giro) a cercare argomenti, filoni, storie o qualsiasi cosa mi permettesse di dividere la cartella in sottogruppi differenti. Looking back at 2012, it’s been very memorable from a photographic point of view due mainly to the appalling weather we’ve seen in the UK! If you look through my photos from 2012, you’ll notice that there is one thing (apart from VWs) that most have in common, and that’s a stormy looking sky! 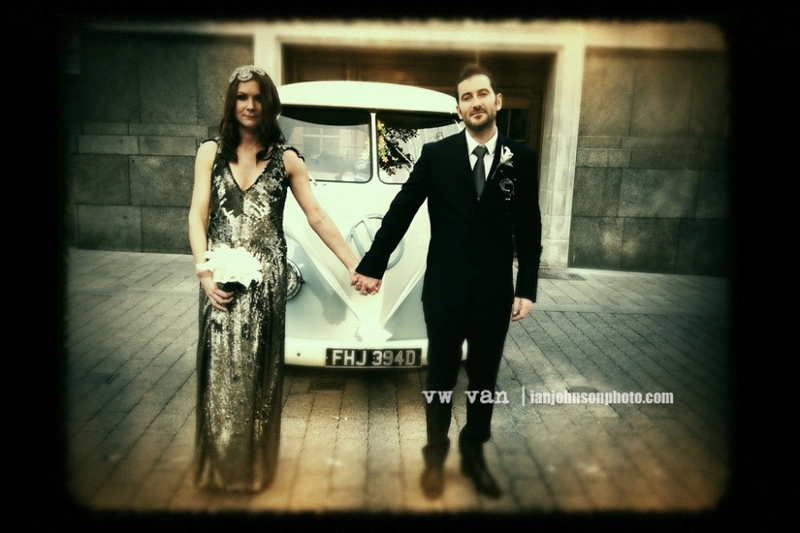 From a VW perspective, I’ve made it along to some new shows that I haven’t attended before – Back to basics and the show at Blenheim Palace were nice and fairly local but, I’ve missed several of the regulars that I’ve been to many time over the years including Bug Jam, VW Action, VanFest and BVF at Malvern. One show which was missing in 2012 was the Ivan Hirst Memorial Show at the REME Museum near Reading. 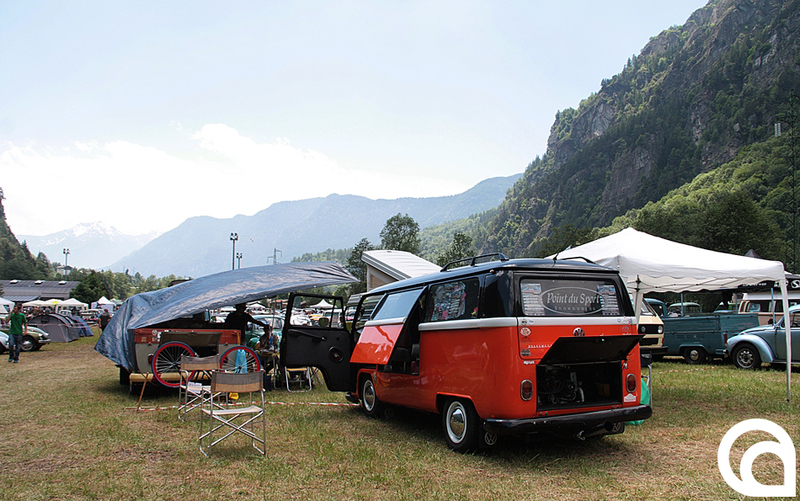 I went to this show in 2011 and it was probable the the last Vintage VW show which will be held in this location which is a real shame. 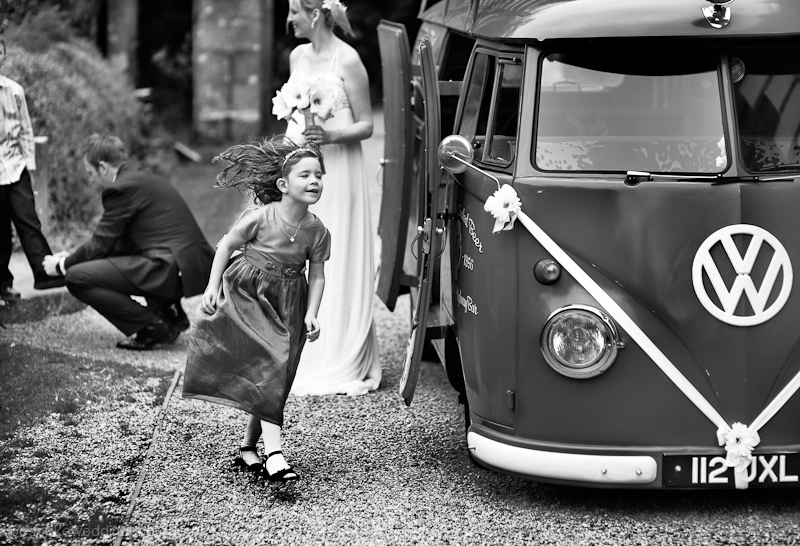 For me, the highlight of the 2012 VW show calendar had to be The Lavenham Vintage VW Show which only takes place every four years. I guess I may be a bit biased as I’m one of the organisers but, even with a lot of running around sorting things out, It was a great weekend which I hope everyone else enjoyed too. So what does 2013 hold in store? I expect some visits to more VW shows plus, I’d like to visit more general classic car shows and make more trips to Silverstone Circuit which is just down the road from my home. 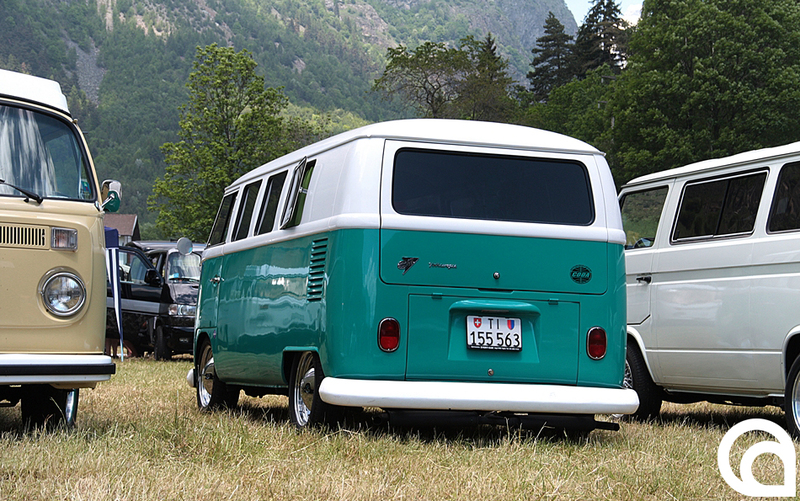 Rather than just pictures from car shows, I also hope to persuade some Vintage VW owners to spare an hour or two for a location photo-shoot of their VW. 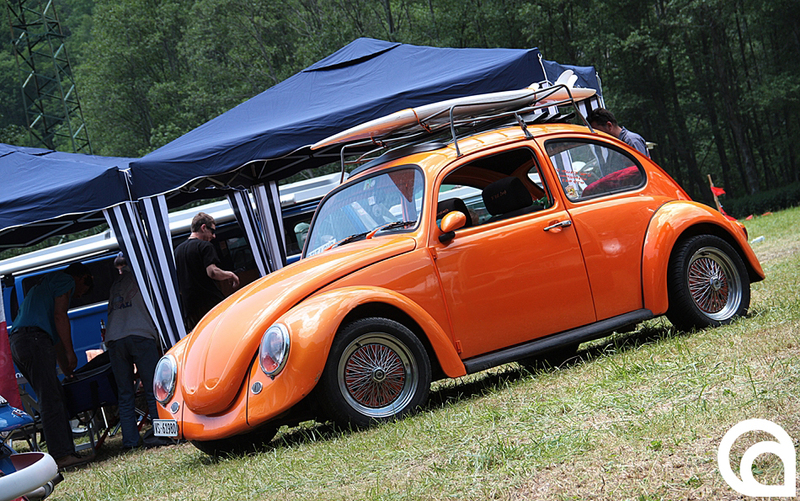 I already have a few locations in mind so I just need some cars and some better weather then 2012 – here’s hoping! 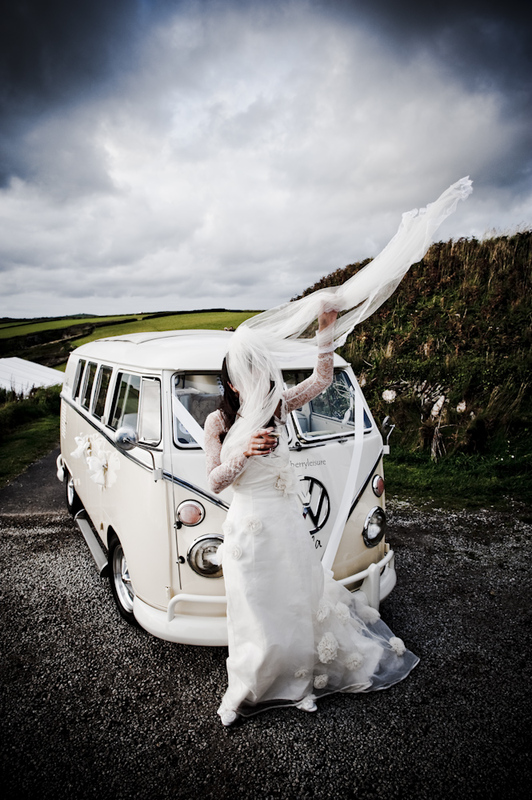 Another excellent photo shoot by Steve Sharp for Volksworld magazine. This time it’s a 1958 Karmann Cabriolet owned by Stéphane Dendievel. I started Bandwagen back in September 2011 with a post about the REME VW show near Reading which is where this picture was taken. It’s been a great first year with a steady increase in followers up to a current figure of 1145 which is fantastic so, thank you to everyone! I’ve also had two articles featured in the ‘Freshly Pressed’ section which has also been a great boost and encouragement to my blogging so thank you to the folks at WordPress for your support too! If you’ve visited Bandwagen before you’ll have already noticed the change of theme from ‘Piano Black’ to this new theme called ‘Blaskan’. I felt after a year it was time for a change and ‘Blaskan’ seems to work well. I feel the photography now looks much better with the wider column width giving it much more impact without having to click on images to see them at a larger size. I’ve had to make a few tweaks here and there but I’m very happy with the the new look and hope it meets with everyones approval. Please let me know what you think of the new look – A change for the better or do you prefer the old black background? 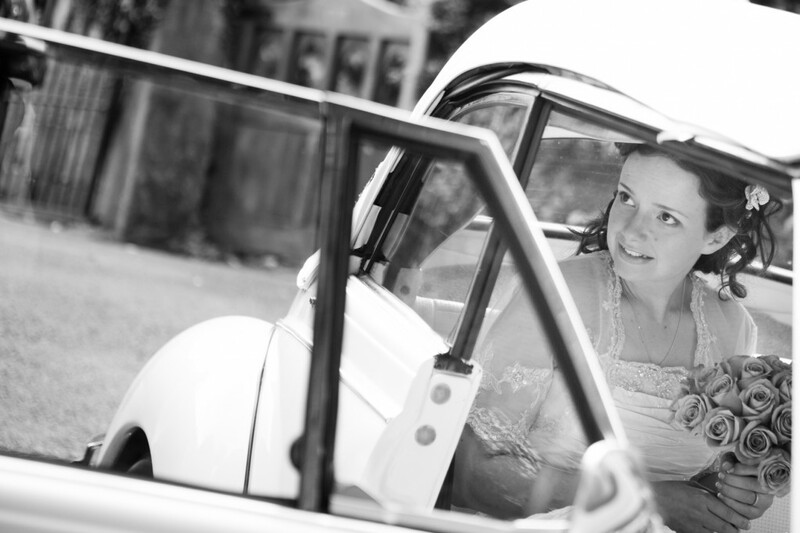 So, when you’re planning your ‘big day’, what do you choose as a memorable mode of transport? 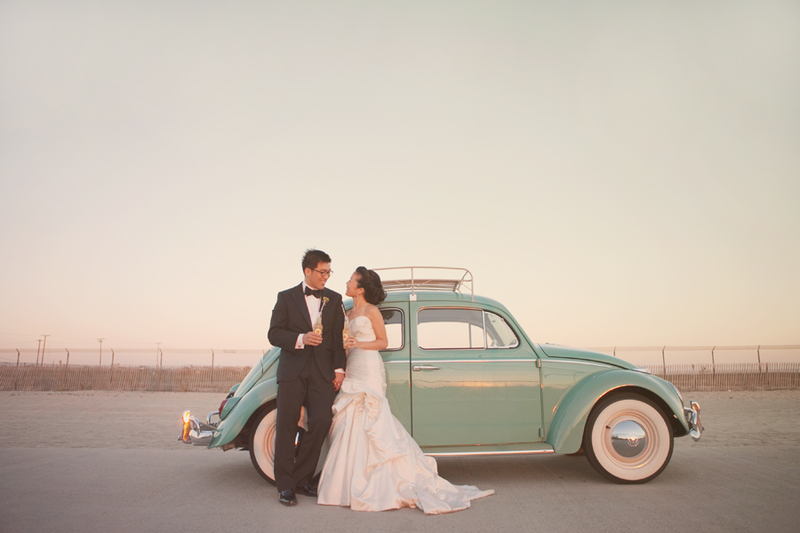 Perhaps you would choose a Rolls Royce or a horse drawn carriage but, for many couples their preferred ride comes in the shape of an air-cooled Volkswagen. 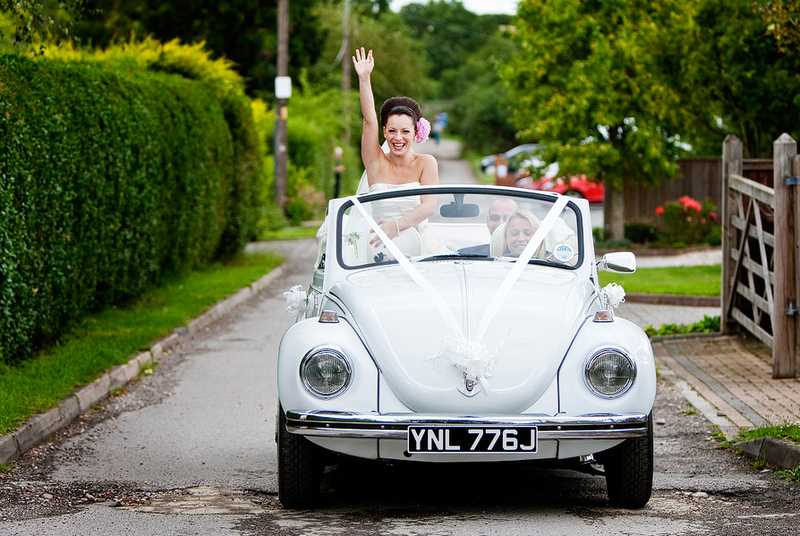 Volkswagen wedding hire is now a huge business in the UK with a long list of companies able to supply a VW beetle cabriolet or camper for that special occasion. 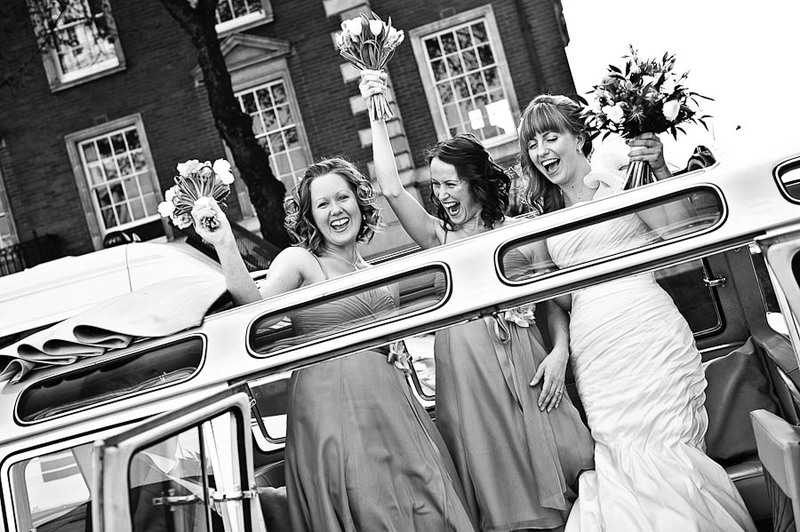 Here’s a selection of photos by some top wedding photographers featuring the ‘peoples’ choice in transport! Photo of the week #11. 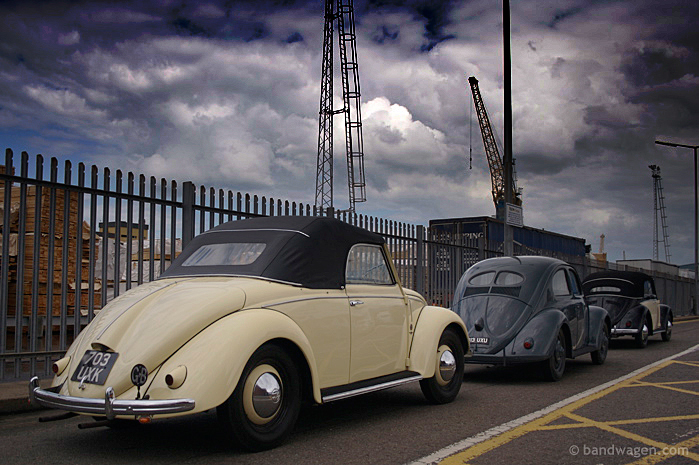 A 1950 VW-Hebmüller Convertible, 1947 Beetle and 1950 Karmann Cabrio waiting for the ferry at Hull docks, on-route from the UK to The Bad-Camberg Vintage Volkswagen Show in Germany, June 2007.